Magnus Paajarvi scored two goals to lead the last-place Ottawa Senators to a 6-2 win over the slumping Toronto Maple Leafs on Saturday night. While, Cody Ceci, Brian Gibbons, Anthony Duclair and Oscar Lindberg also scored for Ottawa (25-41-6). Anders Nilsson made 35 saves. Meanwhile, Morgan Rielly and John Tavares scored for the Leafs (43-24-5). Who have lost three of their past four games. Also, Garret Sparks stopped 38 shots. The Leafs should have felt right at home at the Canadian Tire Centre. With most of a season-high crowd of 18,607 cheering for Toronto in the Battle of Ontario. Trailing 4-1 at the start of the third. Toronto caught a break when both Zack Smith and Mark Borowiecki took minor penalties. Because of this, the Leafs had a two-man advantage for two minutes. Tavares managed to score to cut the lead in half. But not until there were just 14 seconds remaining on the power play. Ottawa regained their three-goal lead shortly after. As Duclair tracked a shot off the back boards and slid it past Sparks. Lindberg capped the scoring. After playing a solid first period, the Senators continued to control much of the play and extended their lead to 4-1 after 40 minutes. Ottawa made it a 2-0 game early in the second as Gibbons jumped on a Dylan DeMelo rebound and went to his backhand as he fell. Toronto cut it to 2-1 at 12:33 as Rielly put a shot over Nilsson’s right shoulder for his 20th of the season. Less than two minutes later, Paajarvi scored his first of two goals. Rudolfs Balcers found Paajarvi, who buried a wrist shot. With less than two minutes remaining in the second, Paajarvi scored his second of the night as he ripped a wrist shot past Sparks. The Senators outshot the Leafs 17-9 in the first and led 1-0 off Ceci’s sixth of the season. Christian Wolanin saw Ceci trailing and he wristed a shot past Sparks from the circle. Ottawa-born rookie Max Veronneau picked up his first NHL point on the play in his second game as a professional. Ottawa’s Bobby Ryan played his 800th NHL career game, while DeMelo played in his 200th. Senators forward Colin White missed his third straight game with a neck injury. Nic Petan and Igor Ozhiganov were out for Toronto. With just 10 games remaining in the regular season, the Leafs know they must improve. Tavares’ goal was his 40th of the season, a career high for the 28-year-old, but admitted it was hard to feel good about the accomplishment with the way things are going right now. 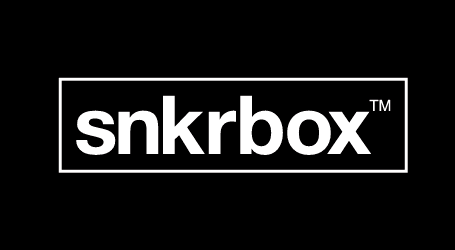 Copyright© 2018 snkrbox All Rights Reserved.